Measure H, a quarter-cent Los Angeles County sales tax to fund anti-homelessness programs, maintained the two-thirds majority needed for approval in a final ballot tally released Monday. The measure’s backers already declared victory on Friday, when an update showed it had a safe margin above two-thirds. The final results have the measure finishing with 69.37 percent of the “yes” vote. The election results will be certified Tuesday by the county Registrar- Recorder/County Clerk’s office. The quarter-cent sales tax is projected to generate about $355 million annually for 10 years. In total, the measure received 585,905 votes, compared to 259,098 votes against. 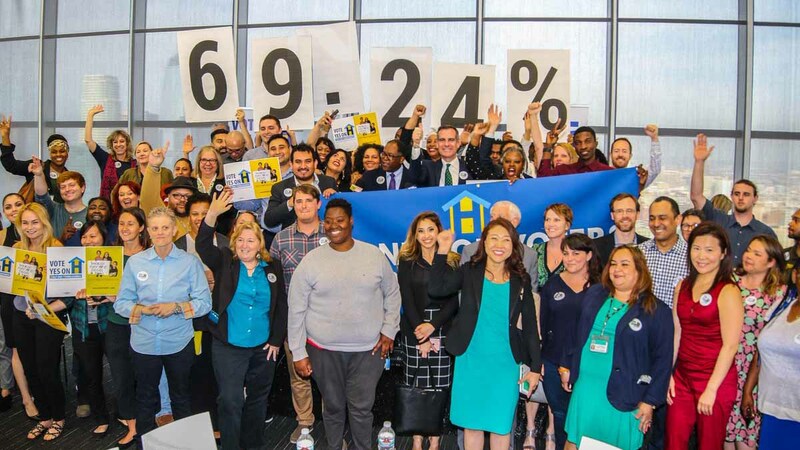 With all precincts reporting after the election, preliminary results released early March 8 showed Measure H with 67.44 percent of the vote, just ahead of the two-thirds majority it needed for approval. But with nearly 295,000 vote-by-mail, provisional and questioned ballots still left to be counted, it was unclear at the time if the measure would maintain the required percentage.